Crafted by backstage experts, bat your best eye lashes with the Lakme Absolute Flutter Secrets Dramatic Eyes Mascara. The Lakme Absolute Flutter Secrets Dramatic Eyes Mascara Mascara has a long term curl memory formula that gives your lashes the desired volume, color & lots of drama! It's opthalmologically tested and safe for the eyes.The Lakme Absolute Flutter Secrets Dramatic Eyes Mascara increases length and adds fantastic volume to your eye lashes with just one sweep. Get every look you want with the Lakme Absolute Flutter Secrets Dramatic Eyes Mascara from the house of Lakme.With long term curl formula, The Lakme Absolute Flutter Secrets Dramatic Eyes Mascara multiples lash volume, to give you a clump-free look It is water-proof and smudge resistant, Easy to use applicator, Easy to carry and a simple solution for dramatic volume and gorgeous lashesBuy the Lakme Absolute Flutter Secrets Dramatic Eyes Mascara, right away! Lakme is India's leading cosmetics brand offering a wide range of high-end, world-class color cosmetics and skincare products. Lakme has a vast product range specially crafted by experts for the Indian skin. The brand has also been redefining fashion in India for over 15 years with Lakme Fashion Week, India's premier fashion event. 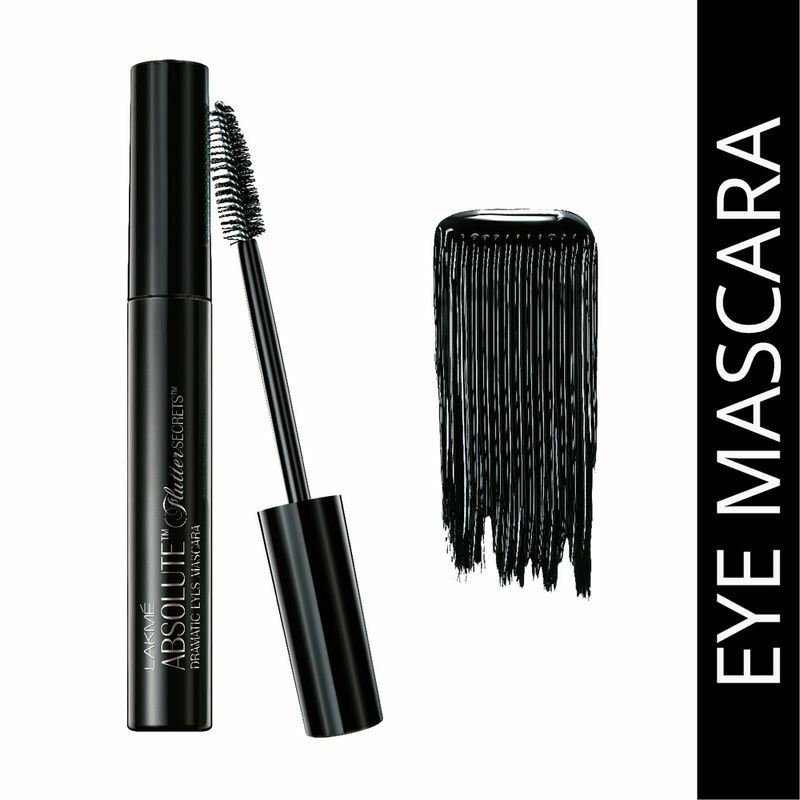 Explore the entire range of Mascara available on Nykaa. Shop more Lakme products here.You can browse through the complete world of Lakme Mascara .